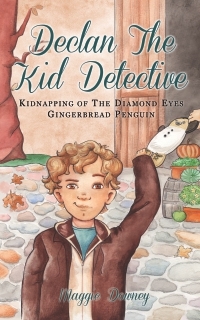 Eleven-year-old Declan McLeod has been given three complex puzzles to solve in the new mystery series Declan the Kid Detective. Gone are the days of tracking down missing dogs and secret admirers. His latest assignments involve culprits with twisted minds who will stop at nothing to get what they want. Declan is about to discover some puzzles are not so easy to figure out, but if you do, there may be a price to pay.